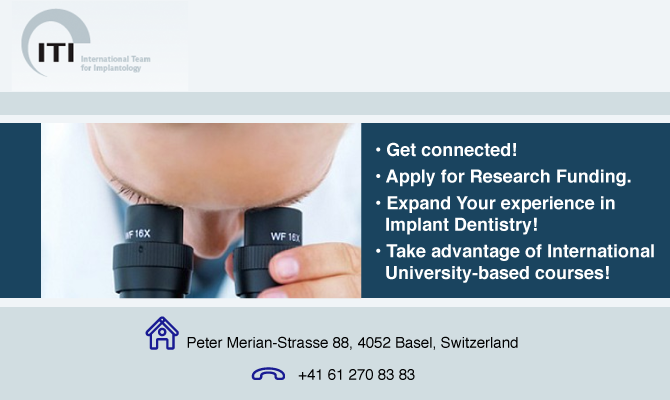 The International Team for Implantology (ITI) is a unique network that unites professionals around the world from every field of implant dentistry and related tissue regeneration. As an independent academic association, it actively promotes networking and exchange among its membership. The ITI Headquarters in Basel, Switzerland, is a service and coordination office for the ITI, its Members, Fellows, Sections and its bodies. Two independent organizations – Straumann and ITI – form a close working relationship for the benefit of patients.